ITER was originally an acronym for International Thermonuclear Experimental Reactor, but that title was dropped in view of the negatively popular connotation of “thermonuclear“, especially in conjunction with “experimental”. “Iter” also means “journey”, “direction” or “way” in Latin, taking into consideration ITER potential role in harnessing nuclear fusion (see also The ViCTE Newsletter Number 28 – SVOMT revising/March 2011 Nuclear power – fission and fusion) as a peaceful power source. ITER is a large-scale scientific project intended to prove the practicability of fusion as an energy source, to prove that it can work without negative impact. Moreover, it is expected to collect the data necessary for the design and subsequent operation of the first electricity-producing fusion power plant. 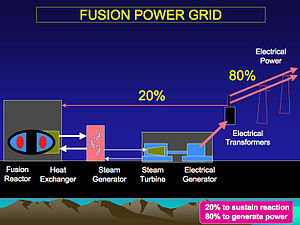 Besides, it aims to demonstrate the possibility to produce commercial energy from fusion. ITER is the culmination of decades of fusion research: more than 200 tokamaks (see also The ViCTE Newsletter Number 29 – Easy such and so / April 2011 Nuclear power – tokamaks) built over the world have paved the way to the ITER experiment. ITER is the result of the knowledge and experience these machines have accumulated. ITER, which will be twice the size of the largest tokamak currently operating, is conceived as the necessary experimental step on the way to a demonstration of a fusion power plant potential. The scientific goal of the ITER project is to deliver ten times the power it consumes. From 50 MW of input power, the ITER machine is designed to produce 500 MW of fusion power – the first of all fusion experiments producing net energy. During its operational lifetime, ITER will test key technologies necessary for the next step, will develop technologies and processes needed for a fusion power plant – including superconducting magnets and remote handling (maintenance by robot). 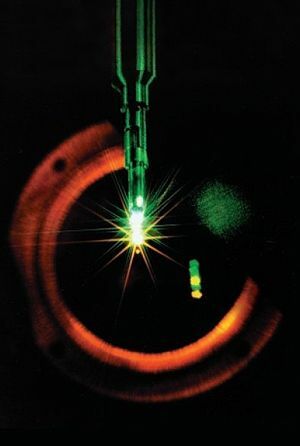 Furthermore, it will verify tritium breeding concepts, will refine neutron shield/heat conversion technology. As a result the ITER project will demonstrate that a fusion power plant is able to capture fusion energy for commercial use. 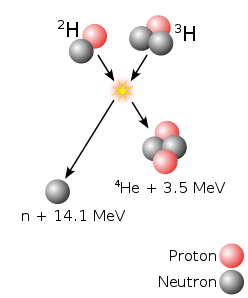 Launched as an idea for international collaboration in 1985, now the ITER Agreement includes China, the European Union, India, Japan, Korea, Russia and the United States, representing over half of the world’s population. Twenty years of the design work and complex negotiations have been necessary to bring the project to where it is today. The ITER Agreement was officially signed at theElyséePalaceinParison21 November 2006by Ministers from the seven ITER Members. In a ceremony hosted by French President Jacques Chirac and the President of the European Commission M. José Manuel Durao Barroso, this Agreement established a legal international entity to be responsible for construction, operation, and decommissioning of ITER. On24 October 2007, after ratification by all Members, the ITER Agreement entered into force and officially established the ITER Organization. ITER was originally expected to cost approximately €5billion. However, the rising price of raw materials and changes to the initial design have augmented that amount more than triple, i.e. to €16billion. The program is anticipated to last for 30 years – 10 for construction, and 20 of operation. The reactor is expected to take 10 years to build with completion in 2018. The ITER site in Cadarache, France stands ready: in 2010, construction began on the ITER Tokamak and scientific buildings. The seven ITER Members have shared in the design of the installation, the creation of the international project structure, and in its funding. Key components for the Tokamak will be manufactured in the seven Member States and shipped to Franceby sea. From the port in Berre l’Etang on the Mediterranean, the components will be transported by special convoy along the 104 kilometres of the ITER Itinerary to Cadarache. The exceptional size and weight of certain of the Tokamak components made large-scale public works necessary to widen roads, reinforce bridges and modify intersections. Costs were shared by the Bouches-du-Rhône department Council (79%) and theFrenchState (21%). Work on the Itinerary was completed in December, 2010. Two trial convoys will be organized in 2011 to put the Itinerary’s resistance and design to the test before a full-scale practice convoy in 2012, and the arrival of the first components for ITER by sea. Between 2012 and 2017, 200 exceptional convoys will travel by night at reduced speeds along the ITER Itinerary, bypassing 16 villages, negotiating 16 roundabouts, and crossing 35 bridges. Manufacturing of components for ITER has already begun in Members industries all over the world. So, the level of coordination required for the successful fabrication of over one million parts for the ITER Tokamak alone is daily creating a new model of international scientific collaboration. ITER, without question, is a very complex project. Building ITER will require a continuous and joint effort involving all partners. In any case, this project remains a challenging task and for most of participants it is a once-in-a-lifetime opportunity to contribute to such a fantastic endeavour.